A refreshing kombucha flavor that is light on the tongue and heavy on nutrient rich ingredients. On top of the health benefits of kombucha, watermelon provides significant levels of vitamins A, B6 and C, lots of lycopene, antioxidants and amino acids. Chia seeds are also rich in antioxidants, and they provide fiber, iron, and calcium. 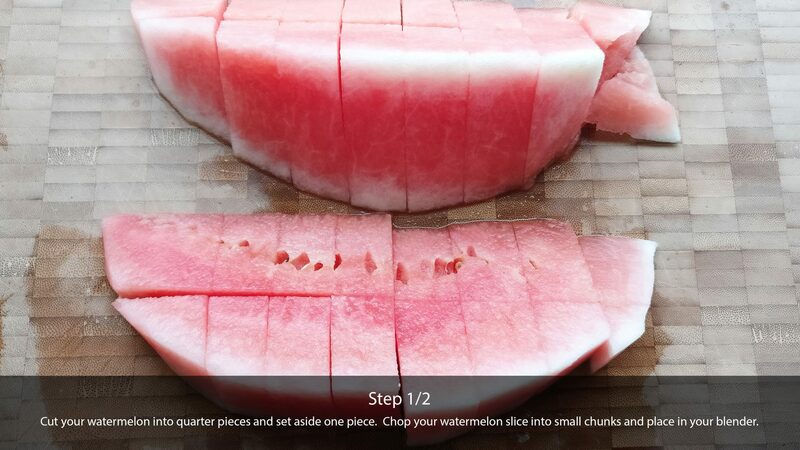 Cut your watermelon into quarter pieces and set aside one piece. 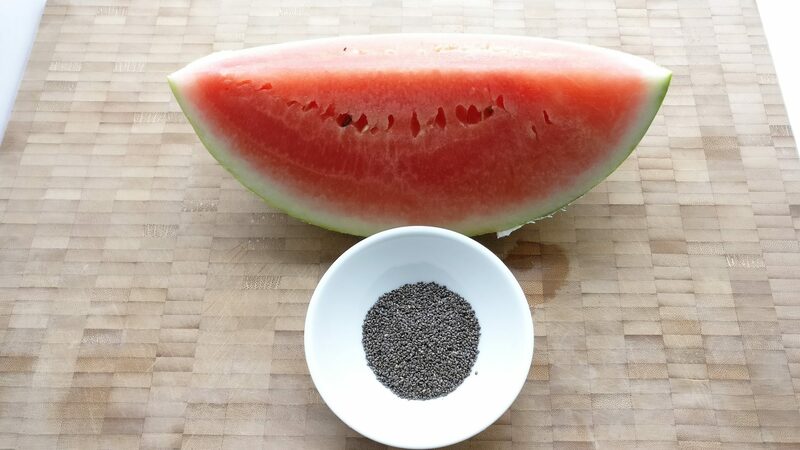 The rest can be used to make additional bottles of watermelon chia kombucha or enjoyed immediately! 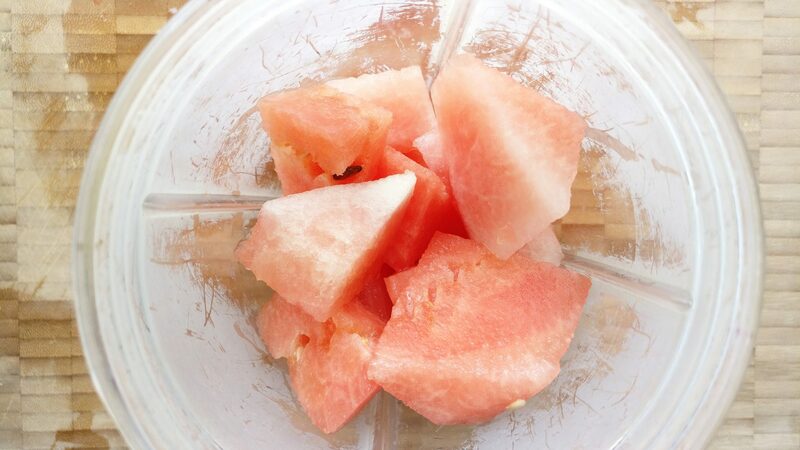 Chop your watermelon slice into small chunks and place in your blender. 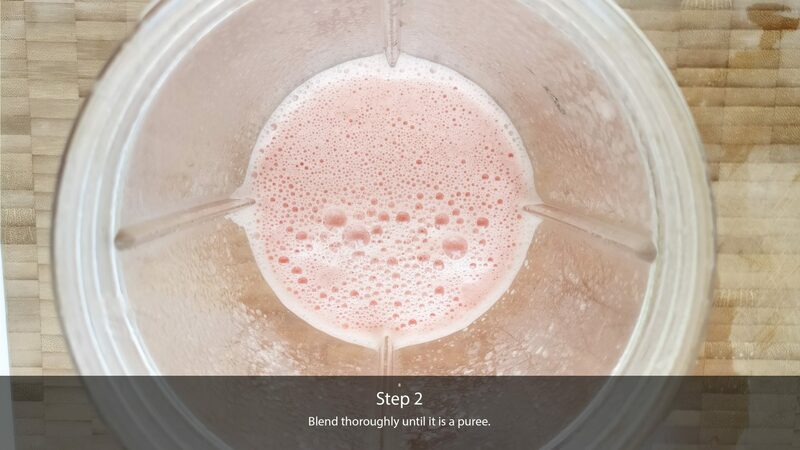 Blend thoroughly until it is a puree. 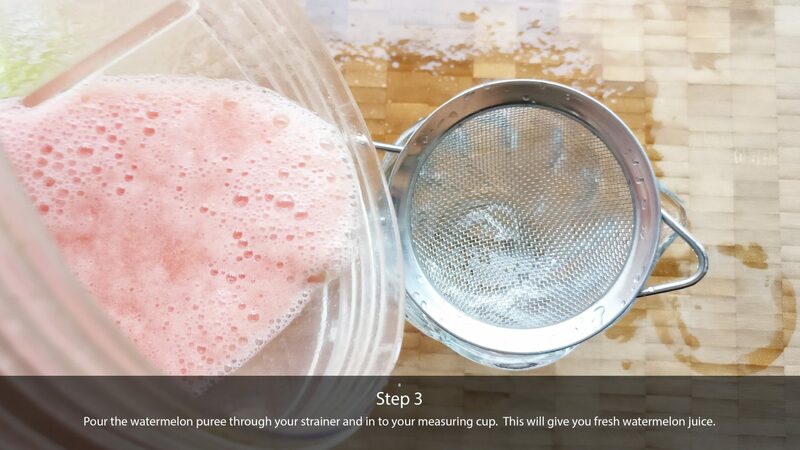 Pour the watermelon puree through your strainer and in to your measuring cup. This will give you fresh watermelon juice. 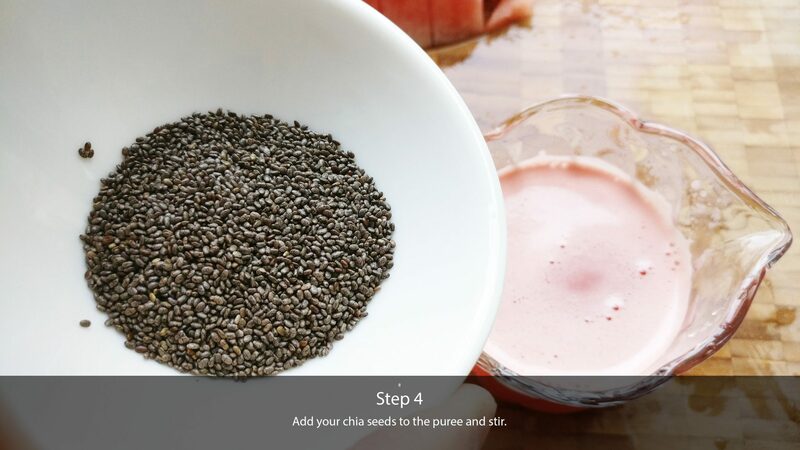 Add your chia seeds to the puree and stir. 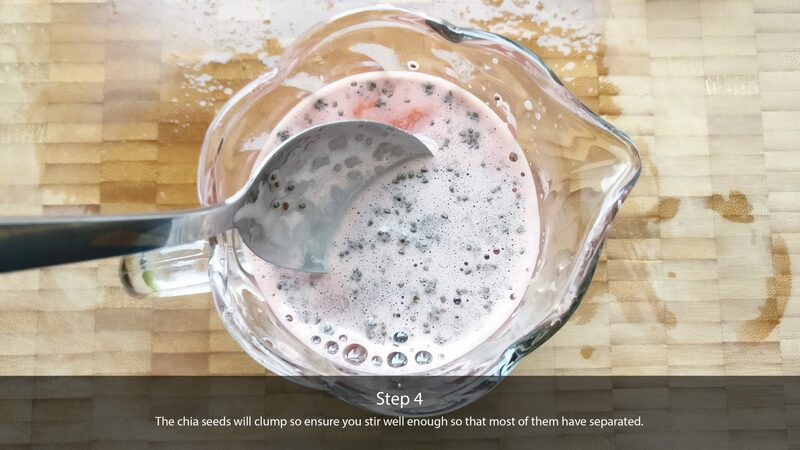 The chia seeds will clump so ensure you stir well enough so that most of them have separated. Using your funnel, pour the mixure in to your 1 liter swing top or amber bottle. 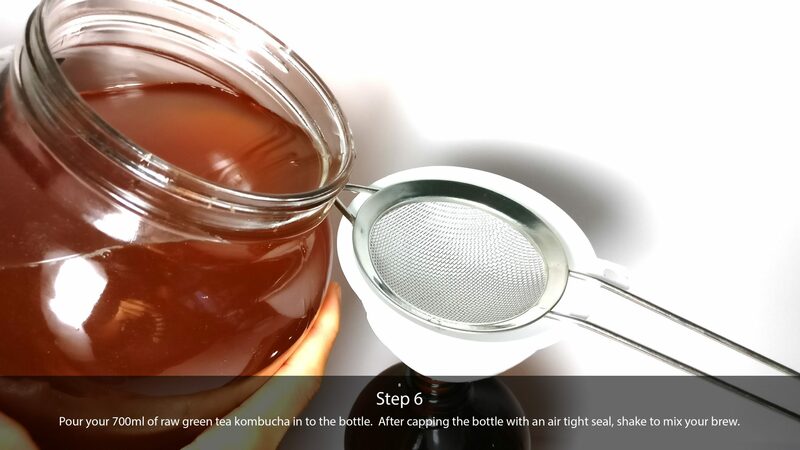 Pour your 700ml of raw green tea kombucha in to the bottle. 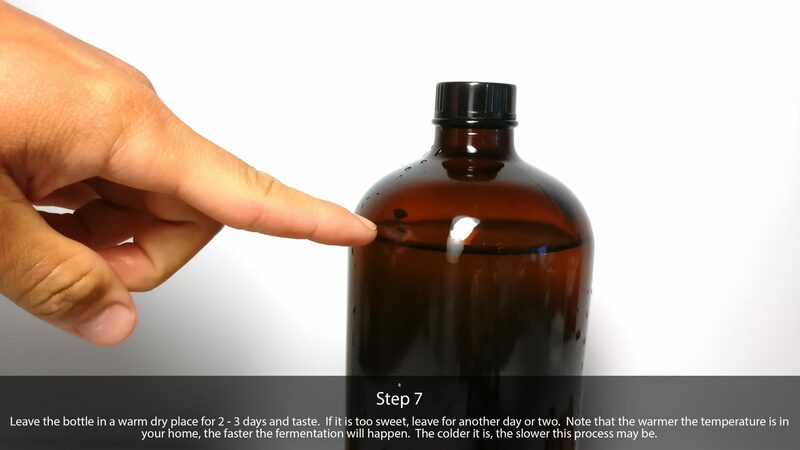 After capping the bottle with an air tight seal, shake to mix your brew. 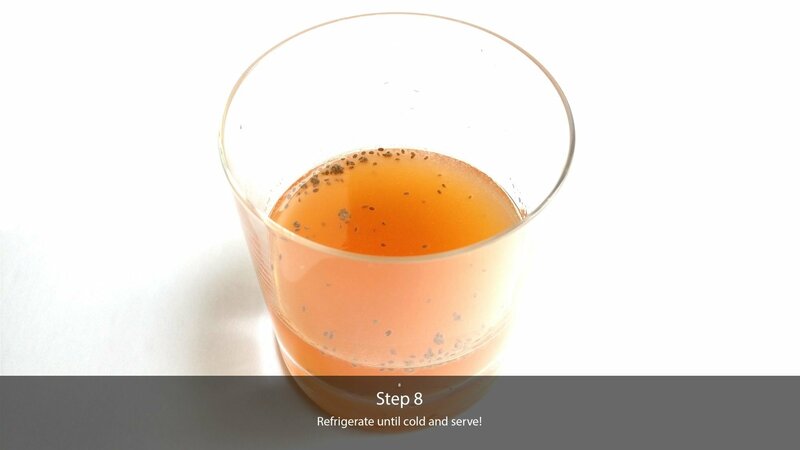 Leave the bottle in a warm dry place for 2 – 3 days and taste. If it is too sweet, leave for another day or two. Note that the warmer the temperature is in your home, the faster the fermentation will happen. The colder it is, the slower this process may be. Refrigerate until cold and serve! 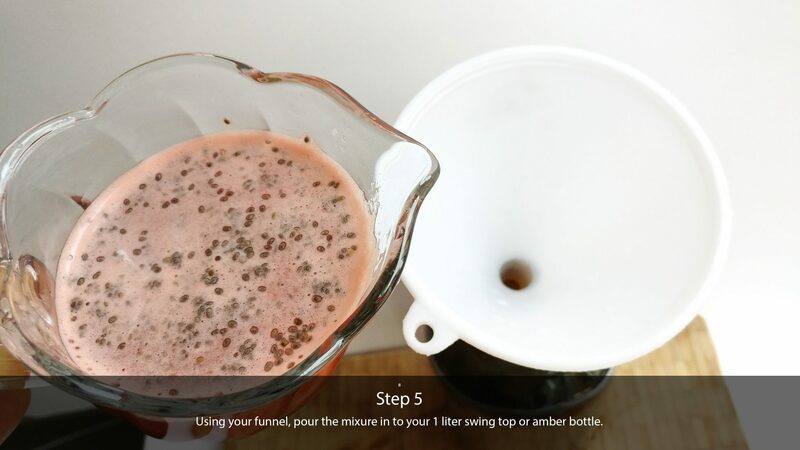 Chia seeds will expand while left in the kombucha and have a bubbly texture when drinking. Before serving, you may want to swirl the bottle so that the seeds are distributed evenly. This recipe is best used with green tea as watermelon is a very light flavor that could be overpowered by black tea.